Put the father of the franchise as director of Episode IX. We really want this, please. We have no problem with Colin Trevorrow , but he’s not the right guy to direct Star Wars Episode IX. George Lucas as director of Episode IX would be the perfect way to end this new trilogy and make an epic farewell between the Father of Star Wars and the whole universe of the galaxy far, far away…. Of course Luiz’s petition presupposes that Lucas actually wants to return. According to Lucas, he was once interested in sharing his story blueprints with Disney, but after it became clear that the company was going to take the films in a different direction, he decided to cut ties entirely, explaining “You have to put it behind you, and it’s a very, very, very hard thing to do. But you have to just cut it off and say okay, end of ball game. I got to move on.” While Luiz makes a compelling argument that (some) fans “really want this,” even that may not be enough to entice Lucas back after so many years of fan animosity. Nevertheless Luiz’s earnest petition is incredibly close to proving to Disney that at least 7,500 people want the man who made Attack Of The Clones to be allowed to direct more Star Wars films. 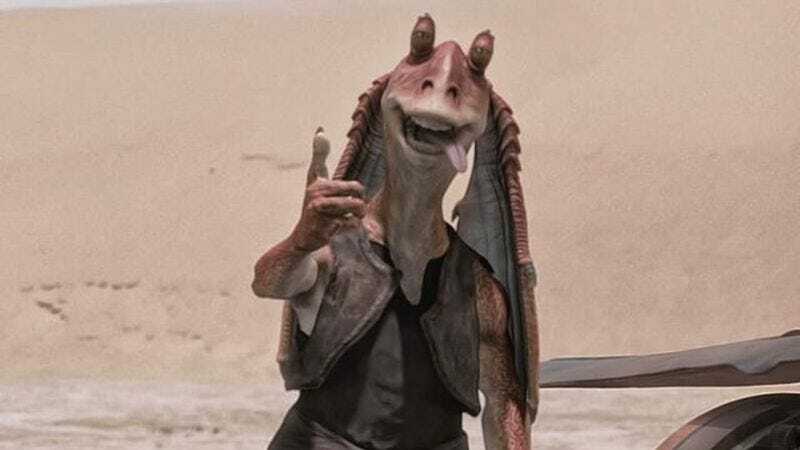 Of course, it’s all a bit of a toss-up: Put Lucas back in the director’s chair and Episode IX is sure to be loaded with unnecessary CGI and a whole lot of flat acting. But keep Trevorrow around and audiences will have to suspend their disbelief that Rey, Finn, and Poe can do all that space battling while wearing high heels.